Dizdarevic, D. Cassar, P. Debono, A. Debrincat, T. Vella, O. Grech (A. Azzopardi), N. Mercieca, J.P. Mizzi, D. Sakic, M. Perisic, F.A. De Oliviera. Grima, J. Azzopardi (L. Cilia), M. Tabone (J. Cefai Bonnici), S.A. Martinez Villa, D. Krstic, C. Bugeja, G. Hili, J.M. Vella, M. Xerri, H.T. Barbosa Honorato, D. Bogdanovic. In the last match from the second round of the BOV Gozo Football league of the first division, Xewkija Tigers suffered an unexpected defeat from relegation strugglers Kercem Ajax so that they practically lost the possibility to remain within close range to the top positions on the table. Xewkija were aiming to make up for the draw that they registered in the match against Kercem of the first round but in this encounter the Tigers found it much more difficult than expected to take command of play so that as time passed by the conceded Kercem’s play and ended up leaving the field of play empty-handed. For this match, Kercem were without the regular players Martin Hrubsa, Owen Spiteri, Christoph Caruana and the coach Alex Simoncic due to a suspension but they managed to produce a determined performance so that their efforts were rewarded with a win that puts them back with the three other teams involved in the relegation zone. Kercem created the first scoring opportunity of the encounter on 5 minutes through a shot by Felipe Augusto De Oliviera that missed the target. Xewkija tried to take control of play but they did not manage to get past Kercem’s organised defence so that their best attempt at Kercem’s goal arrived on 33 minutes through a free kick from an angled position by Darko Krstic that was stopped by the woodwork. Three minutes later Kercem’s Jean Paul Mizzi had a shot after receiving from Felipe Augusto De Oliviera that ended wide and on 40 minutes Xewkija’s keeper Mark Grima saved with difficulty a strike by Kercem’s Brazilian striker De Oliviera. Kercem increased their pressure on Xewkija’s defence and three minutes later a shot from outside the area by Milos Perisic ended away from Xewkija’s goal. 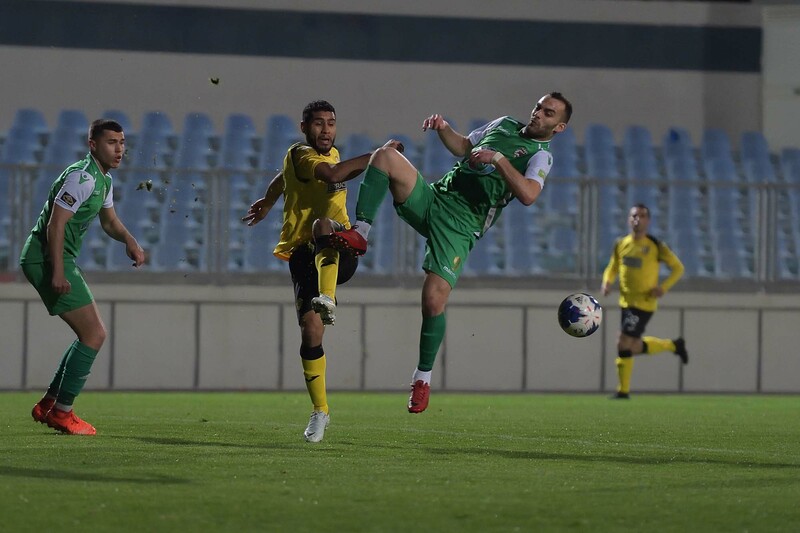 Xewkija’s reaction to a difficult patch arrived on 44 minutes through a shot by Joseph Azzopardi that missed the target so that the first half ended in a goalless draw. The match became much more exciting after the break and on 54 minutes the two sides had an opportunity to open the score. Xewkija’s Halleson Tiago Barbosa Honorato entered Kercem’s area but ended on the floor as he tried to go through two defenders and from the resultant counter break Kercem’s Felipe Augusto De Oliviera entered Xewkija area but lost the opportunity to conclude at goal so that from his pass the shot by Daniel Sakic was blocked by the defence. Xewkija tried to surprise their opponents with a fast break in the following action through Darko Krstic but the latter concluded badly when he arrived at the edge of the area and the ball ended over the crossbar. 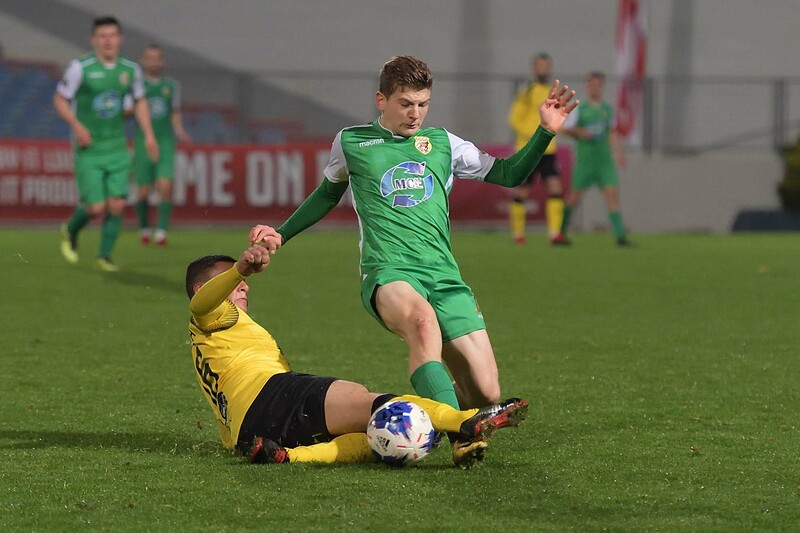 On 57 minutes Xewkija’s Christian Buegja had a shot after receiving from Daniel Bogdanovic that ended wide and on 61 minutes an effort by Xewkija’s Bogdanovic was neutralised by Kercem’s keeper Vladimir Dizdarevic. Less than a minute later the same goalkeeper was called to make a save following an attempt by Gennaro Hili and on 64 minutes Kercem’s goalie Vladimir Dizdarevic was well placed to neutralise a strike by Daniel Bogdanovic. Xewkija failed to capitalise from their good patch of offensive play so that Kercem recovered and on 73 minutes they scored the goal that decided the issue when Felipe Augusto De Oliviera entered Xewkija’s territory with a personal action and form his pass a shot by Nathaniel Mercieca was stopped by the crossbar. From the rebound, the ball to the same De Oliviera who had his shot stopped on the line by defender Joseph Cefai and fro the short clearance Andrea Debrincat fired in goal. Kercem were reduced to ten players on 87 minutes when Daniel Sakic was sent off for a second bookable offence and from the resultant free-kick, Daniel Bogdanovic’s shot was well saved by Kercem’s keeper. Until the end of the encounter Xewkija did not manage to take advantage of the extra player on the field of play so that Kercem continued to control play and could have also scored a second goal on 88 minutes but a low shot by Felipe Augusto De Oliviera from a good position was well blocked by goalie Mark Grima. 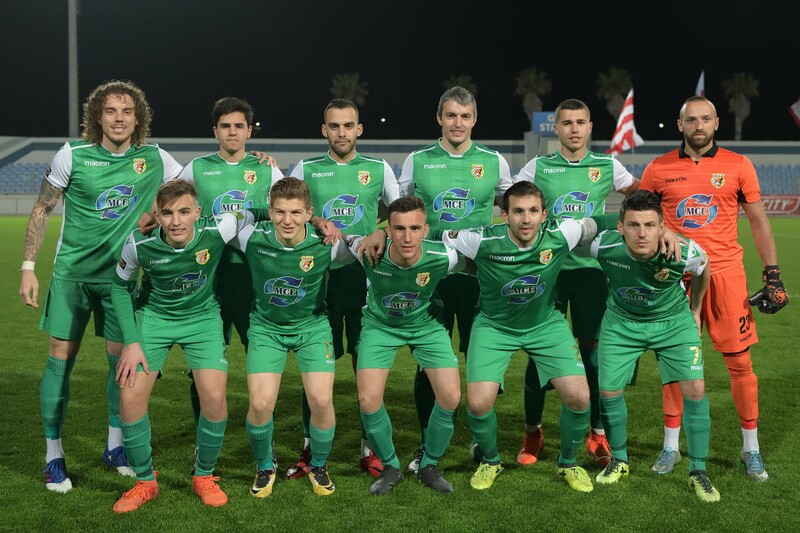 Xewkija had their last opportunity to save the result in the fifth minute of stoppage time but a cross-shot by substitute Luke Cilia was easily saved by goalie Vladimir Dizdarevic.